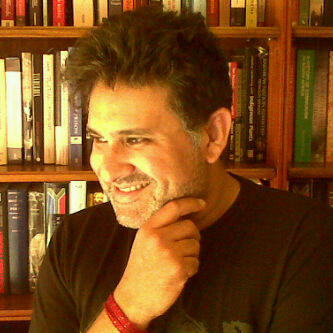 Afzal Moolla was born in Delhi, India while his parents were in exile, working as anti-Apartheid activists for the African National Congress. Afzal currently works and lives in Johannesburg, South Africa and shares his literary musings with his most strident critic - his 12 year old cat. We shall always be many more! we who may forgive but shall never forget. We whose stomachs never cease to rumble. we who fight your wars, and off to battle get shipped. into the bowels of desolation, as mothers' tears are wept. we whose trampled dignity is always forgotten. though we will always be in the cross-hairs of your guns. for we too have children whom we have to feed. for we shall rise up one day to demand our rightful share. © Copyright, 2012, Afzal Moolla.